An era will end in April, when Marvel Studios releases AVENGERS: ENDGAME — the film previously known as AVENGERS 4. The first trailer confirmed that AVENGERS: ENDGAME will carry on immediately following 2018’s AVENGERS: INFINITY WAR, to explore the consequences of the horrific universal genocide committed by Thanos. AVENGERS: ENDGAME is expected to be the swan song for several heroes, with the likes of Chris Evans and Robert Downey Jr. coming to the end of their contracts with Marvel. The stakes are higher than ever before – and even Captain America and Iron Man could pay the ultimate price as they try to put the cosmos to rights. They’ll do whatever it takes to finish off Thanos and restore order. Here’s everything we know about AVENGERS: ENDGAME. 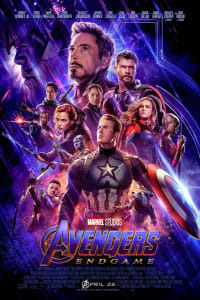 While Marvel typically follows a staggered release plan, to optimize box office depending on national holidays in different regions, AVENGERS: ENDGAME has one worldwide release date. The first trailer confirmed the AVENGERS: ENDGAME release date for April 26, 2019. That’s a week earlier than we previously expected in the US, as the film was originally set to arrive in the US on May 3. The first trailer for AVENGERS: ENDGAME was the most-watched trailer in history. It was viewed more than 289 million times in the first 24 hours after it being released online. That’s a clear indication of just how high the level of anticipation is for AVENGERS: ENDGAME. The second trailer (above) was released on March 14, and it builds on that sense of anticipation by relying heavily on footage from previous films as it scans back through the histories of Iron Man, Captain America, and Thor. The latest ENDGAME trailer also shows Captain Marvel (Brie Larson), following the ENDGAME tease at the end of her own movie, CAPTAIN MARVEL, and suggests the development of at least one new hero. The core cast of AVENGERS: ENDGAME is the O.G. Avengers: Chris Evans (Captain America), Jeremy Renner (Hawkeye), Black Widow (Scarlett Johansson), Iron Man (Robert Downey Jr.), Thor (Chris Hemsworth), and Bruce Banner/Hulk (Mark Ruffalo). They're bolstered by the two surviving members of the Guardians of the Galaxy, Nebula (Karen Gillan) and Rocket (voiced by Bradley Cooper). Two other major new figures will join up with the Avengers as well: Captain Marvel and Ant-Man (Paul Rudd). Josh Brolin has been confirmed to reprise the role of Thanos, Marvel’s most powerful and ruthless villain. 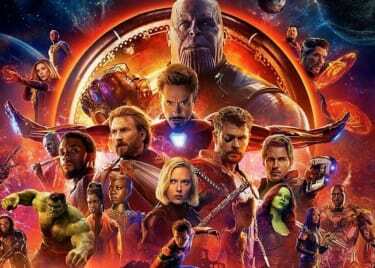 Although the rest of Earth’s defenders were killed in the snap, most are expected to return. 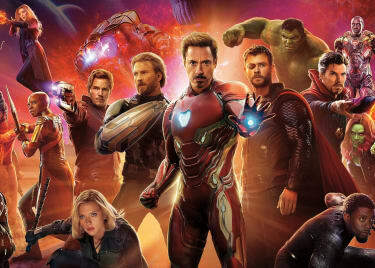 AVENGERS: ENDGAME boasts a larger cast than any other Marvel movie to date, and it’s even been teased that there’s a single scene featuring absolutely every major Marvel character. Some other unlikely figures are also confirmed, including the likes of the Ancient One (played by Tilda Swinton), a character who died in 2016’s DOCTOR STRANGE. John Slattery is reportedly reprising the role of Howard Stark, Tony’s father. The first trailer for AVENGERS: ENDGAME showed Earth’s Mightiest Heroes reeling, apparently defeated following the end of AVENGERS: INFINITY WAR. The heroes risked everything to stop Thanos from achieving his insane goal of erasing half the life in the universe, and they ultimately failed. Thanos got the final Infinity Stone, and the Avengers watched friends and loved ones crumble to dust. Worse, the effect has been reproduced across the entire universe. The remaining population on Earth — and presumably on other planets, too — struggles to recover from the horror. Tony Stark and Nebula were marooned on the doomed planet Titan. They managed to leave Titan in the Guardians’ ship, but without sufficient fuel, they’re stranded in deep, deserted space. Food and water have run out, and according to a voice-over they only have one day’s worth of air left. Things have never looked so bleak for the Avengers. The AVENGERS: ENDGAME trailers insist that the surviving heroes have a plan. So what’s their big idea? In two words: Time travel. (Almost certainly.) That would explain how characters could return even though they were killed off long ago. The latest ENDGAME trailer, released on March 14, features Peggy Carter’s voiceover from THE WINTER SOLDIER, in which she talks about starting over. It’s more than just a nostalgic throwback. Time travel would be the ultimate reset. The Avengers will almost certainly use the Quantum Realm to travel in time. Introduced in ANT-MAN, the Quantum Realm is a plane of reality where the normal laws of time and space break down, and where one could find a “time vortex,” which could very well be what the Avengers use to travel through time. We see the Avengers in white suits that recall Ant-Man’s shrinking armor. The latest trailer also reveals that Tony Stark and Nebula make their way back to Earth, as they’re shown in the lineup of characters wearing that white armor. And there’s the question of hair styles. We see Black Widow wearing three different looks — the platinum bob from INFINITY WAR, a longer dirty blonde cut, and a dyed red style. Hawkeye also has a couple of slightly different looks. How many eras does ENDGAME cover? And are those shots of Captain America gritting his teeth for battle (above) from the present day, or a throwback to World War II? Thing is, that young woman looks older than Barton’s daughter would be based on what we’ve seen of her in prior films. Is this actually Kate Bishop, who in the comics is part of the Young Avengers lineup, and eventually the new Hawkeye? What’s the Role of Thanos in Avengers: Endgame? AVENGERS: INFINITY WAR ended with Thanos triumphant, settling down to live as a farmer, satisfied with the chaos he has wrought. He paid a hefty price to achieve his goal, even sacrificing his daughter Gamora in order to gain the Soul Stone. As far as Thanos is concerned, however, the sacrifice was worthwhile. His role in AVENGERS: ENDGAME is currently unknown. When he learns the Avengers are trying to put matters right, however, he’ll be sure to work against them. And Thanos still wields the unlimited power of the Infinity Stones – even if the Infinity Gauntlet was damaged during the snap. What About New Threats in Avengers: Endgame? Leaked marketing has teased that Thanos won’t be the only foe to face the Avengers in ENDGAME. According to toy boxes, the Avengers will find themselves taking on “new threats” that may be even more dangerous than the Mad Titan. Marvel is coy about revealing any new dangers. A popular theory says the Celestials will return, but there’s sparse evidence to support this conclusion. Another recent theory is that the Mind Stone itself could be the real enemy, having orchestrated the chaos that has befallen the galaxy. When the dust settles from AVENGERS: ENDGAME, the MCU will never be the same. Marvel has been quiet about the post-ENDGAME MCU, however. The studio doesn’t want anyone to have a clue what will happen in AVENGERS 4 so it is offering as few details as possible. Take a good long look at all the heroes on the ENDGAME poster above. Will this be the final battle for some? AVENGERS: ENDGAME comes to AMC on April 26.